You’re getting your wisdom teeth taken out. Maybe you’re a little nervous and have some questions. What will the recovery be like? What should I do to make sure I heal correctly? Although it’s a common oral surgical procedure, you want to make sure everything goes well and heals properly. 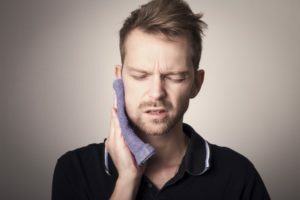 Well, there are certain things you should and shouldn’t do to help you heal from your wisdom teeth extraction in San Antonio. Expect some bleeding and swelling following wisdom tooth extraction. To help alleviate these, apply ice packs to the outside of your mouth in 20-minute increments and bite down on gauze for 30 minutes following surgery. For the first two hours after the surgery, you should limit eating, drinking, and talking. Plan on resting for at least the rest of the day, and avoid rigorous exercise for a few days so the blood clots can set in and begin the healing process. After 12 hours, you can carefully brush your teeth without toothpaste, avoiding the extraction site, and rinse your mouth with water. After 48 hours, you can reintroduce toothpaste, but still be careful around the extraction site. Continue to rinse your mouth gently to remove any food particles. It’s important to note that you should not use a straw following oral surgery because the suction can remove the blood clots that help you to heal. Gradually add in progressively more solid foods. If you experience pain while chewing, return to soft or semi-soft foods for a bit longer. Acidic foods, like citrus, which can cause pain or irritation. Spicy foods, which can also irritate the extraction site. Grains or seeds, like rice, which can become trapped in the wound. Crunchy foods, which require a lot of chewing and can leave particles behind in the extraction site. Alcohol, which can irritate the wound or interact with prescribed medication. Getting your wisdom teeth removed does require some time to recover and some effort to protect the surgical site. However, if you follow these tips and the instructions you get from your dentist in Central San Antonio, you should heal nicely. For more information or advice about wisdom teeth extraction, contact your dentist. Dr. Racha Kadamani owns and operates Laith Family Dentistry in San Antonio. With more than 18 years of dental experience, she focuses her attention on each patient and their wellbeing and preventive dentistry that helps her patients’ smiles stay healthy for years. To contact her, you can call (210) 782-0008 or click here.